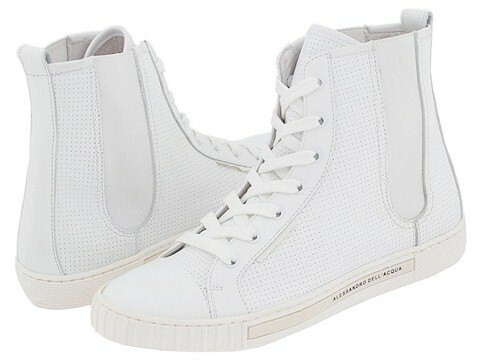 Stark white and totally cool, this is one hi-top sneaker from Alessandro Dell'Acqua that won't go unnoticed. Perforated and smooth leather upper with elastic side panels for a great fit. Leather lining. Logo detailed rubber sole. Made in Italy.